The Film Independent Spirit Awards are my favorite awards show. Sure, the Golden Globes are often an entertaining train wreck, and the Oscars will always carry more prestige, but there’s something about the freedom of the Spirit Awards that I absolutely love. You can always count on the Spirits to deliver hilarity, but the awards have paved way for many touching moments as well. Below are a handful of reasons why I’ll be watching tonight. 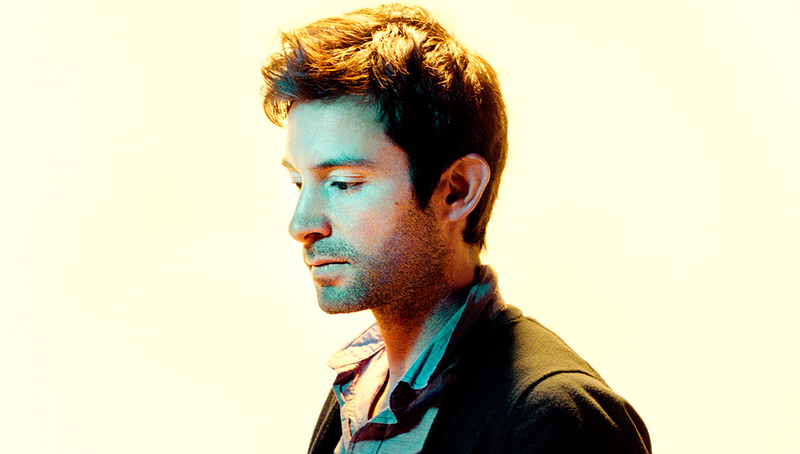 For Shane Carruth’s otherworldly direction, and Carruth and David Lowery’s masterful editing. Finally, someone understands. Which means Carruth has a fair shot at winning director. Or J.C. Chandor. Or Alexander Payne. Did you see Crystal Fairy last year? How about Go For Sisters? Me either, until I discovered their Indie Spirit nominations. Every year, I can trust the Spirits to shed light on films that deserve more of it. Benoît Debie Could. Win. An. Award. Say what you want about Spring Breakers, but there’s simply no arguing against the bubble gum beauty of Debie’s cinematography. With Cate Blanchett a lock for the Best Actress Oscar, the Spirits could easily give their award to Julie Delpy (Before Midnight), Brie Larson (Short Term 12) or Shailene Woodley (The Spectacular Now). No argument here. Matthew McConaughey will mostly likely add another award to his mantle when he wins the Spirit Award for Dallas Buyers Club, but it honestly could go to any of the other nominees. That’s the thing about the Spirits… you just never know. It has a damn good shot of winning Best International Film. Whoever gives that speech, whether it’s ill-tempered director, Abdellatif Kechiche, or one of his spitfire stars, I’m sure it’ll be worth remembering. …when he accepts the award for Best First Feature for Fruitvale Station. I’m sure he’d offer something poignant and insightful in his speech. Hoffman was a staple of the Spirits, and I’m sure they’ve prepared something tremendously moving in his honor. I mean, they better have, right? I never saw the ceremony before but I was planning on watching tonight to root for Matt. Now that I know i involves profanity and booze I'm definitely watching! I think you'd love it! Matt gave a pretty solid speech last year when he won for Magic Mike (!). Always a blast to watch. That was a really funny moment. But I gotta admit, I thought Leto and McConaughey's were sooo bad. I love McConaughey's genuine and passionate style, he is so happy to be there and keep wining and why shouldn't he? As for Leto I thought his speech was rehearsed but at least it was filled with funny bits unlike this SAG speech that sounded like he practiced it 100 times. Matt Mc is definitely a passionate dude, no doubt about that. Let me put it this way, I'll be VERY curious to see what their speeches are like tonight. Serious, heartfelt, crazy, passionate, rehearsed... could go so many ways. It's been years since I've seen the Indie Spirit Awards though I remember the time I think it was Rainn Wilson who hosted and he was ready to wrestle Philip Seymour Hoffman and he lost. I think that was one of the traditions of the Spirit Awards where anyone can challenge Hoffman to a wrestling match yet no one beat him. He's like the Undertaker of the Indie Spirit Awards except 'Taker is still alive but only has a few WrestleManias in him left. At least Hoffman remains undefeated but man, I still miss him. That was a great moment. And I really still miss him too. I think, as life long fans of cinema, we probably always will. I'm bummed that films like Before Midnight, Spring Breakers, Inside Llewyn Davis, Frances Ha and Upstream Color didn't win anything, but it's great that 12 Years a Slave got some love. I'm thrilled for This is Martin Bonner too. I agree. These awards used to be about awarding indies that didn't have a shot at Oscars. Last night just felt like a chance for future Oscar winners to practice their speeches.